Same trio at the top – Once again Madison, Wisconsin; Lincoln, Nebraska; and Omaha, Nebraska finish first, second and third, respectively. 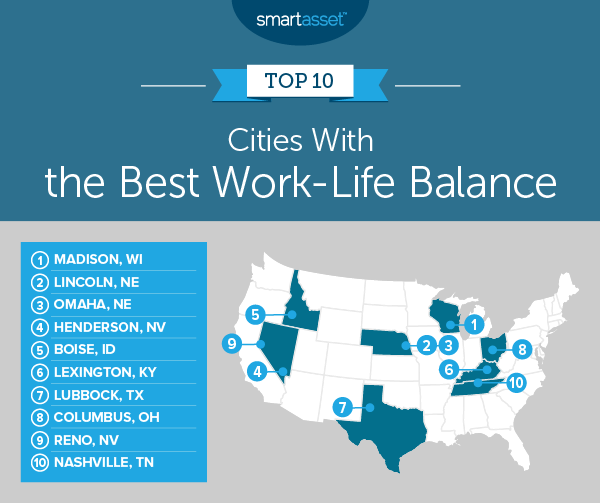 California and Florida are the worst states for balance – In the bottom-15 cities with the worst work-life balance, we find nine cities from either the Golden State or the Sunshine State. 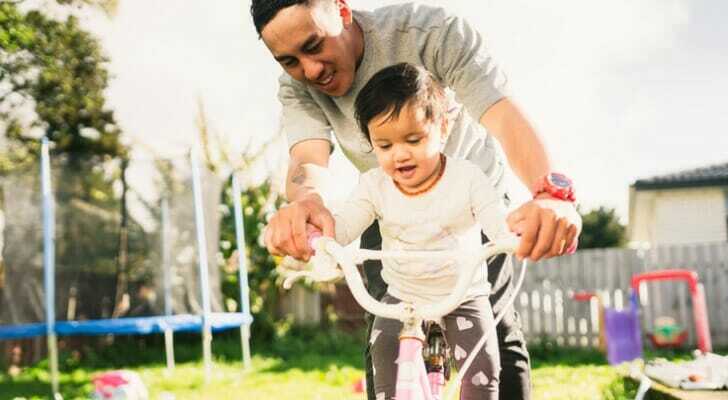 Do your homework – Even if you can afford a home, it is probably not a good idea to rush into homeownership, even in a place known for an attractive work-life balance. Make sure you take your time and look at a number of properties before deciding what you want. Watch out for extras – If you are new to the homebuying process, you may not be aware that homeowners pay more than just their mortgage. Extra costs like property taxes and homeowners insurance can make what seemed like a manageable monthly housing cost into a burden. 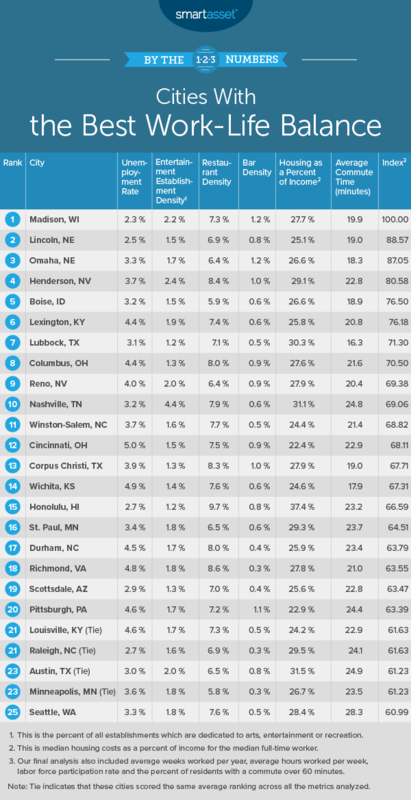 In some states, like Colorado or Hawaii, property taxes are low. In others, like Illinois, they are high. Ask an expert – A home is likely the largest purchase you will ever make in your life. So why not make sure you are making a smart purchase by working with a qualified financial advisor? If you are not sure where to find a financial advisor, check out SmartAsset’s financial advisor matching tool. It will match you with up to three local financial advisors who fit your financial planning needs.